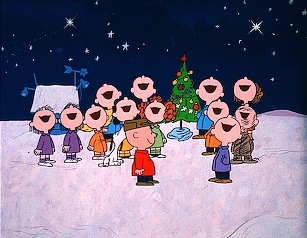 OK, you probably haven't focused yet on that little guy up above with a microphone to his mouth. Recognize him? Why, that's Justin Timberlake, king of the "wardrobe malfunction." He'll be tempting fate anew with what CBS calls his "breakout performance of the decade on the sexiest night on television." So all apparently is forgiven from the 2004 Super Bowl XXXVIII halftime show, when Timberlake ripped off Janet Jackson on CBS' time. He'll now be singing selections from his FutureSex/LoveSounds CD during CBS' Tuesday night, Dec. 5 telecast of The Victoria's Secret Fashion Show (9 central, 10 eastern). Playing along are models Gisele Bundchen, Adriana Lima, Karolina Kurkova, Alessandra Ambrosio, Selita Ebanks and Izabel Goulart. Oh for the simpler times of simpler names like Ethel Mertz. ***CBS has canned 3Lbs. after three episodes. Rushed onto Tuesday nights after the new series Smith lasted just three episodes, the drama starred Stanley Tucci as a headstrong Manhattan brain surgeon. CBS had planned to bump 3 Lbs. up an hour on Dec. 5 in deference to the Victoria's Secret special. But now a rerun of The Unit will step in. *** Ill. Sen. Barack Obama will take the Jay Leno plunge on NBC's Friday, Dec. 1 Tonight Show. Obama, who's considering a 2008 presidential run on the Democratic ticket, is one of many prominent pols to "demonstrate their relaxed, good-humored side" on Tonight, says NBC. Others include Al Gore, George W. and Laura Bush, John McCain, John Kerry and frequent guest Arnold Schwarzenegger, who announced his successful campaign for California governor in Leno's presence. Shot to hell? Secret Service Agent Paul Kellerman plugged FBI manhunter Alex Mahone on Prison Break's fall finale. 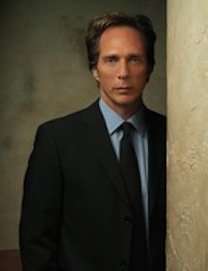 Actor William Fichtner turned 50 on Monday. He likely had a better time than his Prison Break character, who was left for dead that night on the show's Nov. 27th fall finale. 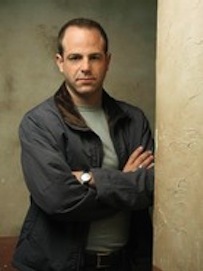 The shooter, duplicitous Secret Service Agent Paul Kellerman (Paul Adelstein), fired on Fichtner's twisted FBI guy, Alex Mahone, in the episode's closing minutes. He then fled with freed brothers Lincoln Burrows (Dominic Purcell) and Michael Scofield (Wentworth Miller) in yet another alliance switcheroo. Mahone lay suitably motionless, but is he really a goner? "That's the big cliffhanger," Fox spokesman Todd Adair said via email Monday night. "Someone is confirmed dead in the winter premiere, though." That's coming on Jan. 29 after a Jan. 22 recap of the second season's first 13 episodes, filmed entirely in North Texas. Adair said the 14th episode also will mark the return of Mahone's wife, Pam (Callie Thorne). "By the end of tonight's finale, you'll be begging for more!" a Fox pitchman boomed about halfway through Monday's episode. Ain't too proud to beg, but not in this case. This has been just an OK ride so far, with more than a few far-fetched convolutions. Demonic Theodore "T-Bag" Bagwell's on-again, off-again hand, now magically refitted with a prosthetic, is but one of the series' sheer fantasies. The guy would have bled himself dead or be fatally infected by now. But Robert Knepper's vividly creepy portrayal of the character remains airtight. Now they'll have two months to regroup and maybe reconfigure exactly where the hell the show is going. A third season renewal is no cinch yet. So it's a tricky business trying to plot your way toward either a finish line or yet another cliffhanger. In this particular case, that can be a really tough cell.